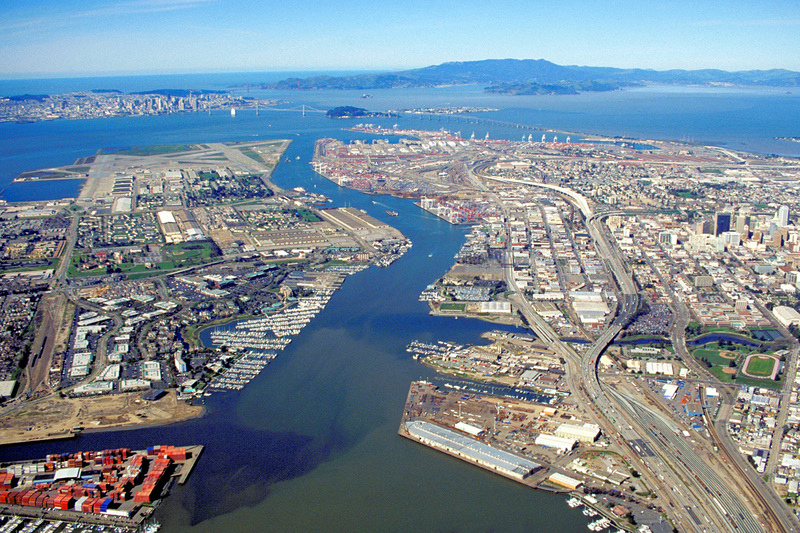 Now, I’ve never been to Oakland, so I did a quick fact/stat search of the area…Is it really as bad as I’ve been reading? 14.70% unemployment rate? Cost of living is 43% higher than the national average? Schools are some of the worst in the nation? Late last week, I was part of a conversation (I was really just an observer, to be honest) between two people who have been to Oregon, Washington, and California and who, in all probability, will someday move there for at least a few years. They spoke of its draw, its lure, that calls them back. This piques my curiosity about what it’s like out there, and I feel that I’ve got to realize someday the dream I had when I was in college: to drive across country and spend some time along the west coast. Crazy? Why do we look at such adventures with I-Don’t-Knows and We-Can’ts? Just how hard would it be to plan such a trip? Even with a family of five? It seems like the biggest scare is to break the routines, the conventions that have put us on this conveyor belt of life. Hey, I’m not knocking it. I love the things I do and the things my family experience on a daily basis, but why don’t we build in more adventure time to explore more of our country, our land around us, our world? 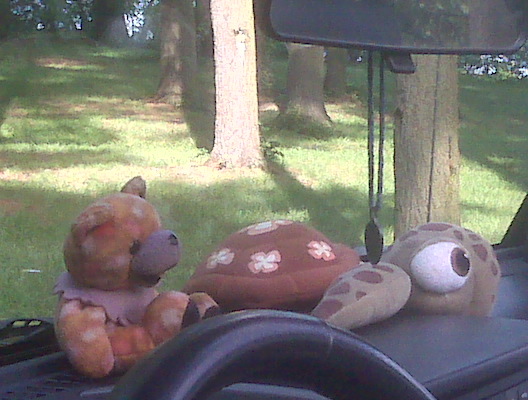 I remember those days in 1987 when Brad and I were planning our trip out west. I remember those days in 1991 planning that six-week journey along the Appalachian Trail that turned into a little more than seven days. But I also remember all of the other road trips realized. Those trips to New England, Canada, and Florida. That drive out to Arizona was amazing as well. My life has not been short-changed in any way of adventure. I guess I just am missing that next big road trip, and I hope it comes soon. We’ll be heading down to Georgia in December for my nephew’s wedding (just writing that makes me nostalgic), and that’ll be a blast. Maybe the trip out west–the big one never realized like my yet-to-come thru hike of the Appalachian Trail–is just something that I’ve got to keep at the near-top of my list. . . . In the meantime, I’ll wait a few more days for Bellatrix to head east. Had a great day today. Started out on the NCR trail for a 14-mile bike ride. Always a wonderful and refreshing way to start the day. Once again, though, I neglected to get a picture. I don’t know why it is so hard for me to remember to snap these pictures! As I was taking these pictures, a man in his early thirties (that’s my guess, at least) jogged by. He was looking at me and at the jeep. When I said Good Morning to him, he just laughed and shook his head. Now, I get it about the whole Oceanic picture-taking thing and how I might (might!) get a look here and there of what-are-you-doing, but I don’t think I’m out of line here to question why jogger boy offered his little condescending snicker. 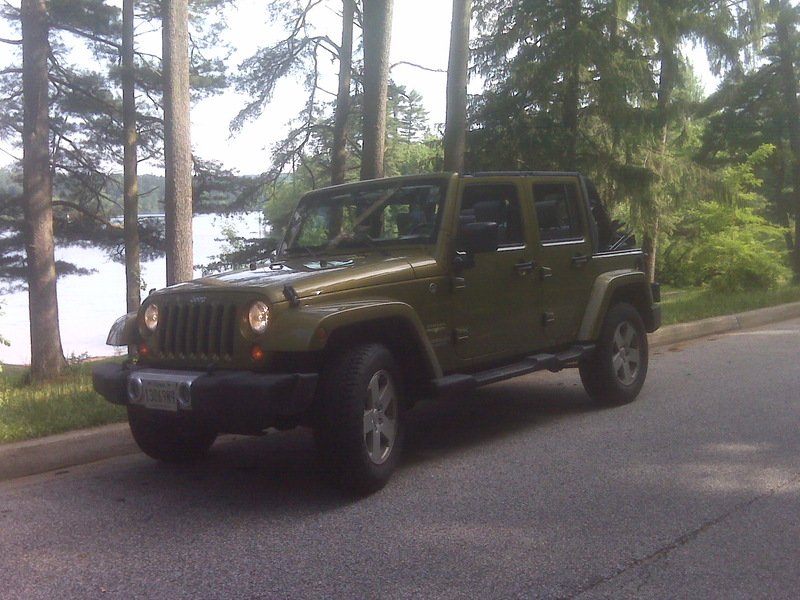 Did he think I was pretentious in taking pictures of my Jeep at Loch Raven? I wanted to jog alongside of him (well, maybe walk really fast–I’m not into jogging just yet) and explain to him all about the my3*6*5 project. 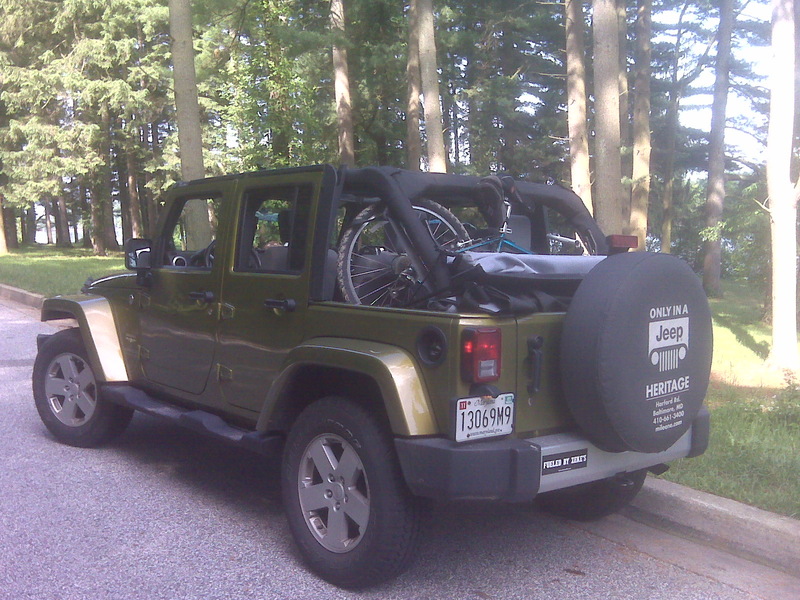 I wanted to tell him that I wasn’t obsessed with my Jeep (though I am) so much that I had to take it places, park it, and then take pictures of it and put it on my blog. Ok, well, maybe I am. But why does that warrant a judgement? How mature would it be for me to mock him, The Jogger, for doing what he loved to do? I should have just given him a big hug and wished him much love in his life, but I don’t think that would have gone over too well either. Rest of the day’s been good. Spent the afternoon at the pool, grilled dinner outside…All seems right with the world. How was your Saturday? A former CHS teacher moved out to Oakland when she retired. Loved it. Still lives there as far as I know. My parents used to plan driving vacations like the ones you’re thinking of. Pick a place and drive there, stay at cheap motels. I don’t remember liking it as a kid… just kept my nose in a book for most of it. And, by the way, I love your jeep. Makes me think it would be fun to have one!